The Healthcare Data, Technology & Services Blog: Just what is an ICD-10 Command Center? What is an ICD-10 Command Center? Ideally a physical location. But I suppose it could be an intranet or phone number. What does an ICD-10 Command Center do? 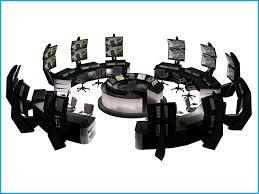 When Should the Command Center start up? Should be live right about now – Mid-September and run through the end of 2015 - at least. An ICD-10 Command Center may make or break your ICD-10 cutover. Hopefully, if your organization has taken ICD-10 seriously, as Tom quoted Adam-Podgornik in his article: "Once October 1 arrives it should be a non-event – just business as usual."